Scrubber cycles, third drawers or even hard food filters, the efforts of the dishwasher industry are endless when it comes to finding ways to rid you of these hard-to-beat messes. Compare the latest dishwasher models here. According to our multi-review-based ranking system, the best dishwasher 2019 should be the Bosch SHPM78W54N, and the second best dishwasher 2019 is the Bosch SGX68U55UC. Here is the full top 10 list, then sub-categories and a complete list of dishwasher brands and models. Based on its aggregated rank of 95%, we conclude that the Bosch SHPM78W54N is currently Alphachooser's best dishwasher 2019. Alphachooser also concludes that our sample of 95 reviews from our sources gives us a high confidence level (more on confidence levels) that justifies calling it a "no-brainer best choice." Based on 5 stars averaged over 59 reviews, we rank this Bosch model second best dishwasher. * Our list is based on a full computation of hundreds of dishwasher reviews from multiple sources. The Bosch SHV89PW73N is the newest Bosch one. 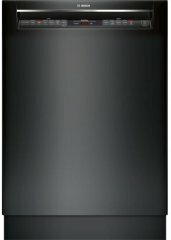 The GE GDT650SSFSS is the newest GE dishwasher. The Whirlpool WDT730PAHZ is the latest Whirlpool one. The Frigidaire DGCD2444SA is the newest Frigidaire model. The Miele G4998SCVI is the latest dishwasher by Miele. The KitchenAid KDPE234GPS is the newest dishwasher by KitchenAid. The Fisher and Paykel DD24DAX9 is the newest Fisher and Paykel one. All Fisher and Paykel dishwashers. The Samsung DW80M2020US is the newest model by Samsung. 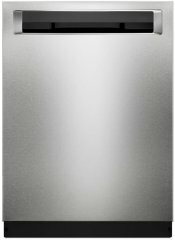 The LG LDF5545ST is the newest dishwasher by LG. The Danby DDW631SDB is the latest Danby model. The Blomberg DWT59500SS is the newest Blomberg model. The Electrolux EI24CD35RS is the newest model by Electrolux. The SPT SD-2225DW is the latest SPT model. 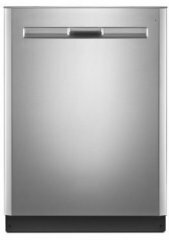 The Maytag MDB7949SDZ is the latest dishwasher by Maytag. The Amana ADB1400AG is the newest dishwasher by Amana. 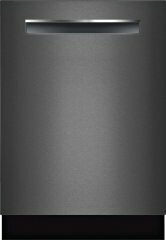 The Avanti DW1831D0WE is the latest Avanti dishwasher. The SoloRock SRDW180813S is the newest SoloRock model. 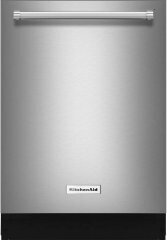 The Indesit DISR14B1 is the newest dishwasher by Indesit. The EdgeStar DWP62 is the newest EdgeStar one. The DCS DD24SVT7 is the latest DCS model. 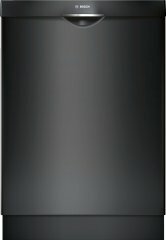 The jenn-Air JDB9800CWX is the latest Jenn-Air dishwasher. The Hotpoint SIAL 11010 is the latest model by Hotpoint. The Viking FDW103 is the newest Viking dishwasher. The Smeg STFABU is the newest Smeg model.